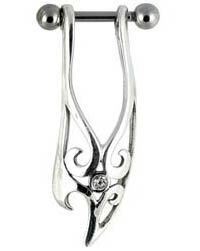 Surgical steel tribal ear cuff, 28mm long, inset with one crystal on an 8mm 316L surgical steel barbell (1.2mm/16 gauge) with 3mm screw-on balls. 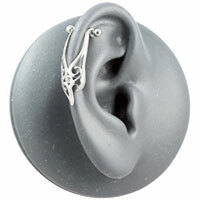 Designed to be worn from the top of the ear. Please note: The crystals in these earrings are glued in and should not be worn in swimming pools, baths, showers, saunas or in similar conditions. Please do not put the crystals into cleansers or germicides as it may also cause them to fall out. Please select the ear that the earring is for. 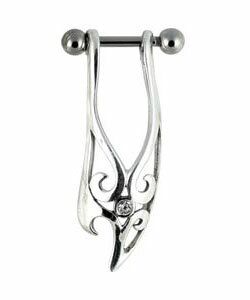 So if you have your left ear pierced you'd need the left ear cuff. looks great, comfortable to wear.